LG is set to announce a new smartwatch at IFA next week, just a handful of months after it brought the LG G Watch to market amidst Google’s own Android Wear fanfare. Smartwatches are all the rage these days, but there is with any fledgling market, we’re still waiting for one or two companies to establish themselves as the frontrunners, with several already vying for that title but not as yet able to stake their claim. One of those companies is LG, but after having announced the LG G Watch at Google’s developer event a few months ago, the hardware got something of a mixed reaction from both pundits and consumers alike. Functional but decidedly angular in its design, LG’s offering found itself being compared to the Moto 360 from Motorola, and not in a particularly favorable light. 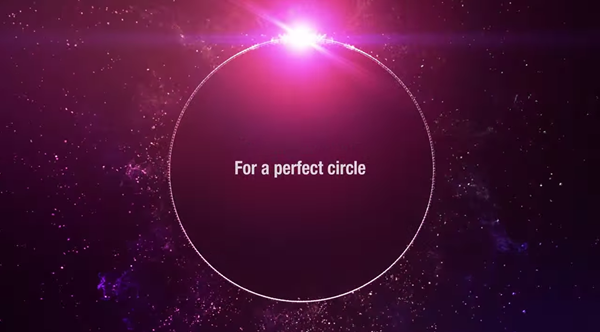 So it’s no great surprise that LG has been working on its own round smartwatch after Motorola’s device took all the plaudits for preferring to go for a more traditional watch design rather than the boxy alternatives from Samsung and co. A newly leaked YouTube video of the said watch teases that we’ll find out more about the new device at next week’s IFA 2014 event, and for that we cannot wait. The new LG G Watch R – we’re guessing the use of the ‘R’ points to a round watch face – has likely been in development for some time but simply wasn’t ready to be shown off until now. Set to run Android Wear and feature a variety of face designs as well as the usual array of sensors, the new LG smartwatch promises to be a looker, if only when compared to the company’s previous offerings. Feint praise indeed. Check out the official teaser of the upcoming smartwatch below and make whatever you like out of it. Regardless how good the LG G Watch R turns out to be, but it’s rather strange that the company is teasing a successor after barely keeping its first Android Wear smartwatch in market for a month. Won’t be long till Android Wear starts making fragmentation headlines.